On 16 September, Sayed Alwadaei, the Director of Advocacy at the Bahrain Institute for Rights and Democracy delivered the intervention under Item 3 on special procedures at the 33rd Session of the United Nations Human Rights Council in Geneva, together with the AlSalam Foundation, the Americans for Rights and Democracy in Bahrain (ADHRB) and the Bahrain Center for Human Rights (BCHR). Alsalam Foundation, together with Americans for Democracy & Human Rights in Bahrain, the Bahrain Institute for Rights and Democracy and the Bahrain Center for Human Rights, would like to raise our concern over increasing trends of arbitrary detention. For example, in the special procedures’ joint communications report released this week, the mandates raised concerns about the detention of the human rights activist Zeinab al-Khawaja and her infant son in Bahrain. While Zeinab has now been released and forced into exile under threat of renewed indefinite detention, many others in Bahrain face different circumstances. Following the arbitrary denaturalization of Bahrain’s Shia religious leader, Sheikh Isa Qassim, hundreds, if not thousands, of people took to the streets of the village of Diraz to stage a peaceful sit in around his home to prevent his deportation. Since then, the Bahraini government has begun systematically targeting other Shia clerics with interrogations, harassment, arrest and arbitrary detentions in relation to their gathering in Diraz in support of Sheikh Isa. Prominent human rights defenders have also recently been targeted with arbitrary arrest. 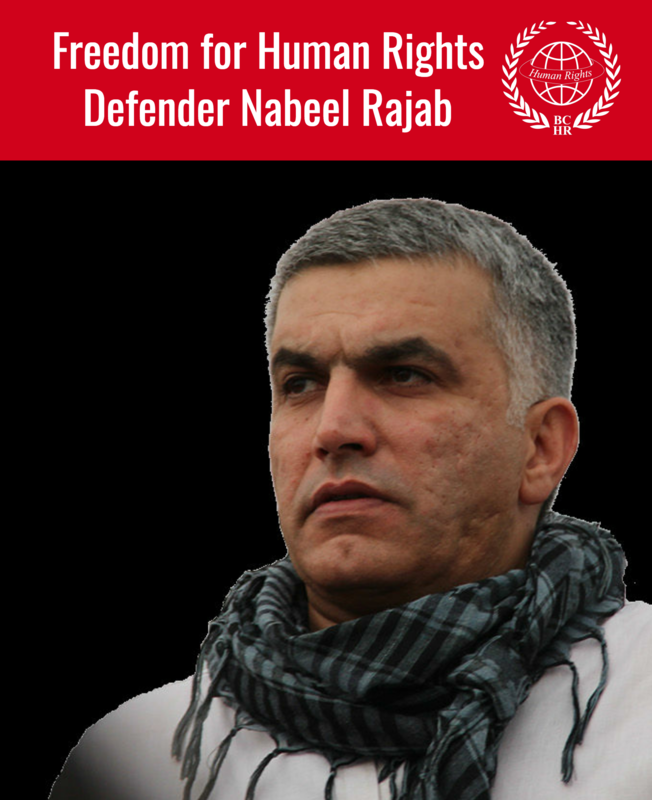 At the start of the last HRC, Nabeel Rajab, President of BCHR was arrested in relation to tweets, and may serve up to 15 years social media comments in relation to his work. Likewise, Sheikh Maytham al-Salman, an interfaith leader and human rights defender has also been arbitrarily arrested and interrogated by Bahraini authorities. 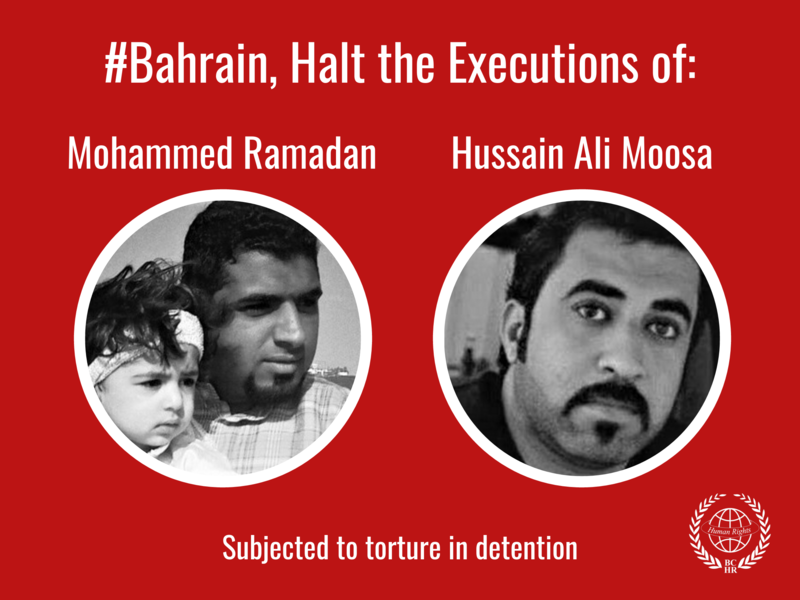 We therefore call on all states, including Bahrain, to end the practice of arbitrary arrest and detention, and for the immediate release of all arbitrarily detained prisoners. Read the intervention in pdf format here.